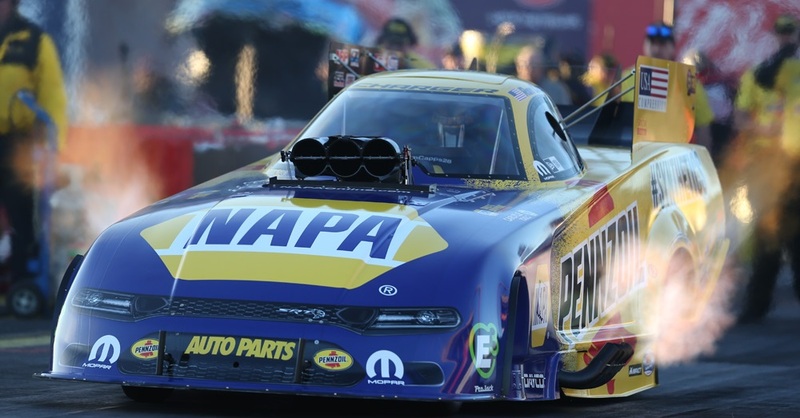 Despite having won 39 NHRA titles in 397 events since 1995, Capps has never raced at New England Dragway at Epping, N.H., where the NHRA Mello Yello Drag Racing Series will visit for the first time this weekend with the New England NHRA Nationals. BROWNSBURG, Ind. 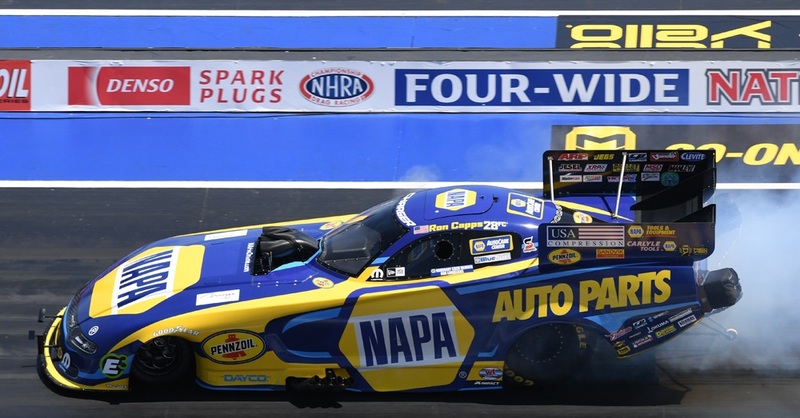 (June 18, 2013) – Ron Capps is coming off a successful weekend of racing at Bristol, Tenn., and he isn’t letting a little broken part get in the way of how confident he is with Don Schumacher Racing’s NAPA AUTO PARTS team. 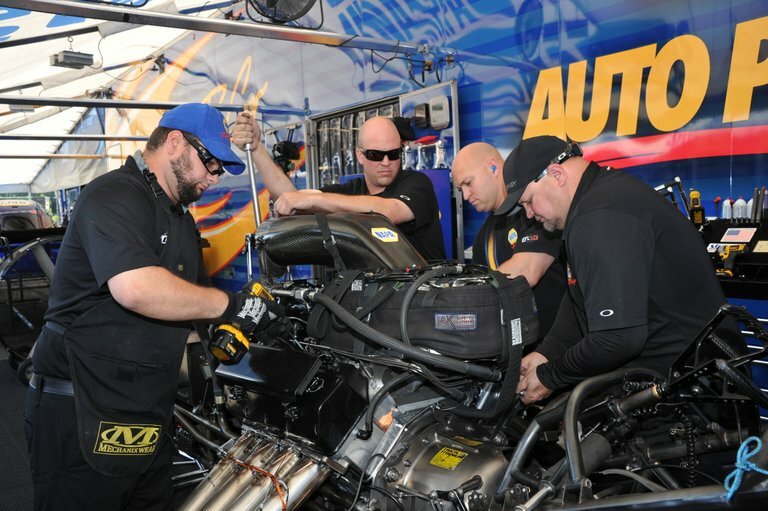 After four solid qualifying runs at the Thunder Valley NHRA Nationals, including one that earned the No. 5 qualifying position, a small part got in the way of what he expected would be a big improvement over the June 2 race at Englishtown, N.J. 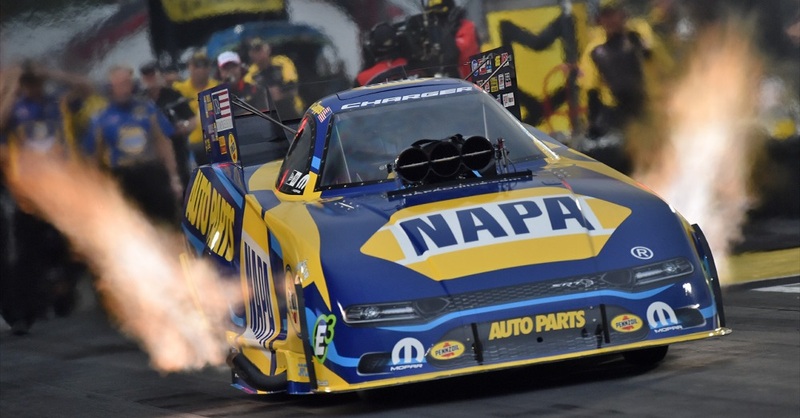 Instead, a part that rarely gives up did and his NAPA Dodge Charger R/T lost in the first round for the second consecutive event. “You can’t predict something like that is going to happen,” he said. “We had made five straight solid runs on the car going back to when we lost at Englishtown, and I couldn’t have been more confident about how it was going to end up at Bristol. We had won there last year and two other times on Father’s Day and no one on our NAPA team could have anticipated that we were going to lose because of a little part in our (throttle) linkage. 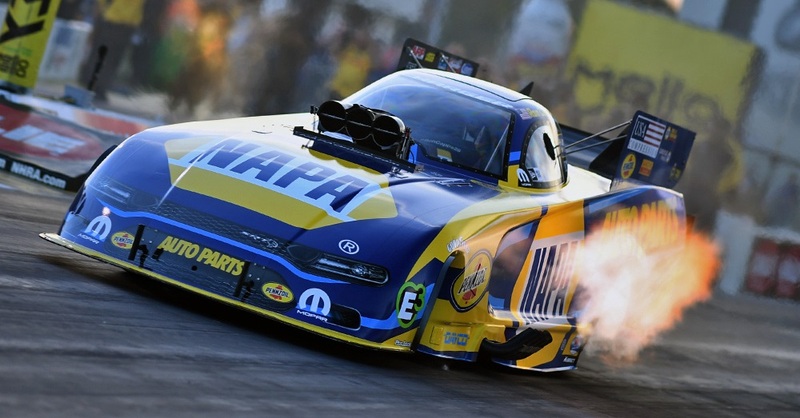 “I’ve never even been to the track,” Capps said of the facility which had been part of a smaller, national drag racing series before recently joining NHRA. Capps flew directly to Boston from Bristol and is scheduled to attend Tuesday’s baseball game at Fenway Park when the Red Sox host Tampa Bay. Carlyle Tools has arranged a tour of Boston’s Samuel Adams brewery on Wednesday that will be followed by a visit from Capps and the NAPA AUTO PARTS team from 4 p.m. to 7 p.m. at Bentley’s Saloon in Arundel, Maine (BentleysSaloon.com). On Thursday, Capps will play in a NAPA golf outing. FUNNY CAR: C. Force, CAPPS, GRAY, C. Pedregon, HAGAN, C. Pedregon, GRAY, GRAY, HAGAN, J. Force. THIS WEEKEND AT EPPING, N.H.